It’s been a dreary few days (weeks? months? IS IT EVER GOING TO STOP RAINING?!) around here and this Monday feels like a Monday fo sho. 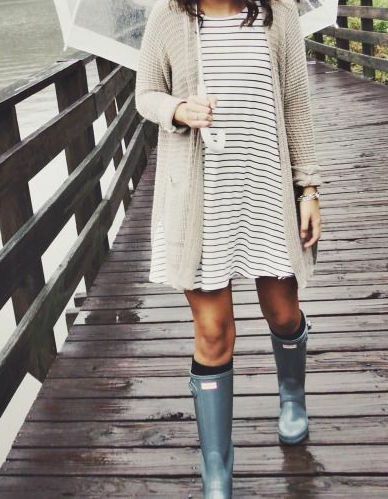 So to help with the rainy Monday blues, I’ve put together the best ways to wear rain boots and still look stylish! First up, I love the way they look with dresses. You can pair your dress with a cozy cardigan, blanket scarf, tall socks and/or tights. 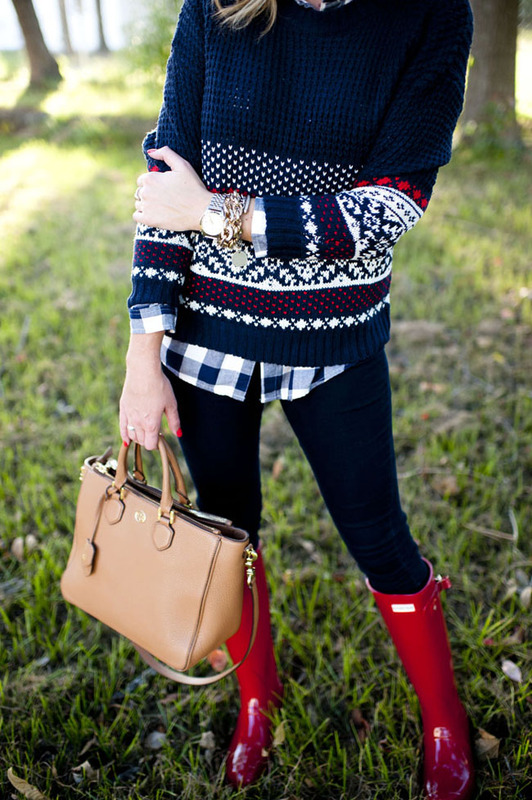 Doesn’t the outfit directly below look so cozy and cute – not to mention effortless? 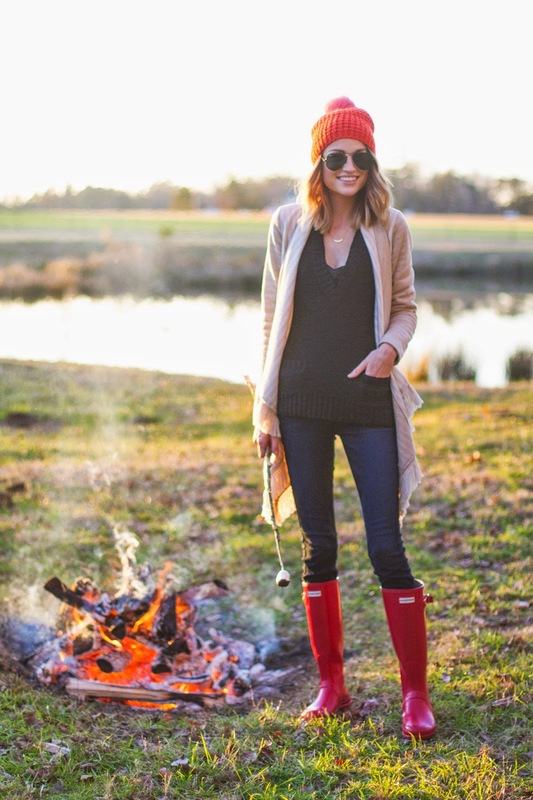 Pairing your rain boots with jeans seems to look very ‘American girl next door’ to me – just make sure you’re pairing them with your skinny jeans to give it a sleek look. 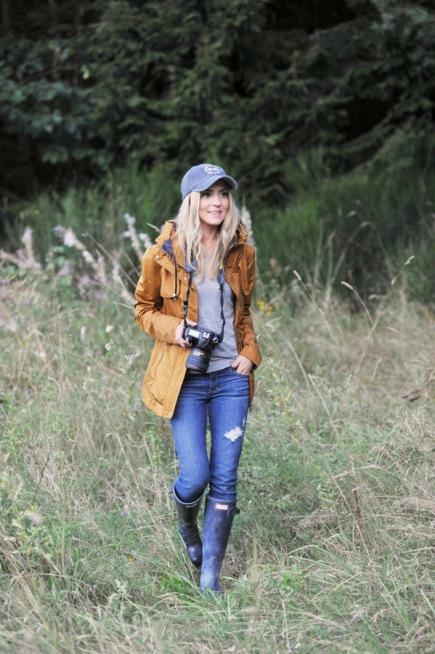 Jeans go with anything so it only makes sense to pair them with your rain boots. There’s a little nugget of wisdom for your Monday. You’re welcome ladies. I’m here all week. And finally, my favorite way to wear rain boots? With leggings! They go on super easy, your legs are also protected from the rain and it’s a ridiculously comfortable outfit that look casual or a little more put together. Win, win, win. Win? Hopefully, this rain will end soon and just leave us with some cooler temps. It’s been in the 80s here in Montgomery up until this past weekend, so it would be nice if we could at least pretend like we get a fall here…sadly, I think we’re scooting right across it and headed directly for winter. At least we can now break out the scarves, boots and jackets! buying my 21 year old daughter an olive rain jacket. She would like to pair them up with Hunter rain boots. What color would you chose. Was trying to go with another color besides black or red. Trying to find a deep purple or a dark blue. Or if you have any other suggestions. She likes the look on your site. Hi, Laura! 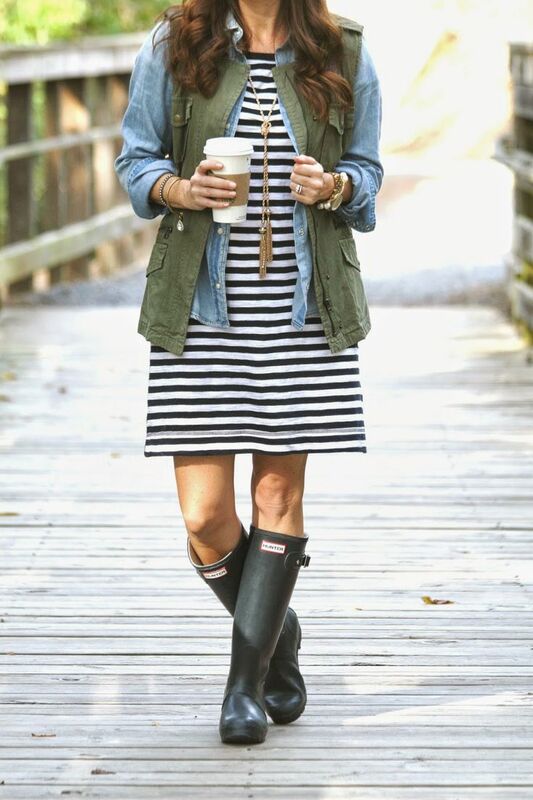 I think the navy Hunter boots would look great with the olive rain jacket! I also love the black ones because they go with so much and the red ones add an unexpected pop of color! Hope this helps! Looks like I came a little late, but I have a question. Do you have any idea where I can find the first striped dress?? ?